It’s not often that an album from 1972 is currently enjoying a commercial renaissance in 2010. But when that record is the Rolling Stones’ immortal double-album Exile on Main St., the attention is much deserved now coming in the wake of a highly-touted reissue. What more can be said about Exile, considered a masterpiece following such triumphs as Beggars Banquet, Let It Bleed and Sticky Fingers? 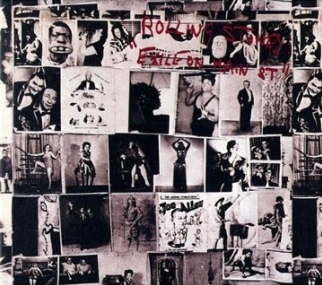 The album, whose recording history has been the stuff of lore, represents the embodiment of what made the Stones’ music so legendary: the devil-may-care rockers (“Rip This Joint” “All Down the Line”), ballads (“Let It Loose”), country (“Sweet Virginia,” “Torn and Frayed” ) pure blues (“Turd on the Run”) and soul (“Shine a Light,” “Loving Cup”). But the album’s two songs have since become beloved anthems: the great “Tumbling Dice” and the wonderful Keith Richards showcase “Happy.” The 10 previously unreleased tracks on this special edition offer some interesting gems, particularly the angsty “Plundered My Soul,” (featuring a terrific Mick Jagger vocal performance), the lovely and moving “Following the River,” and the funky “Pass the Wine (Sophia Loren),” Even without the extras, Exile on Main St. is exciting, top-to-bottom pure Stones at their hedonistic and magnificent prime.